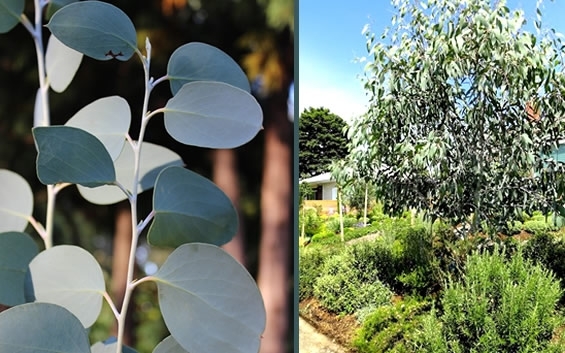 "Mappa Tassie', named so for its leaf that's shaped like Tasmania, is esteemed as one of if not the most cold hardy of all Eucalyptus snow gum species. More details below! 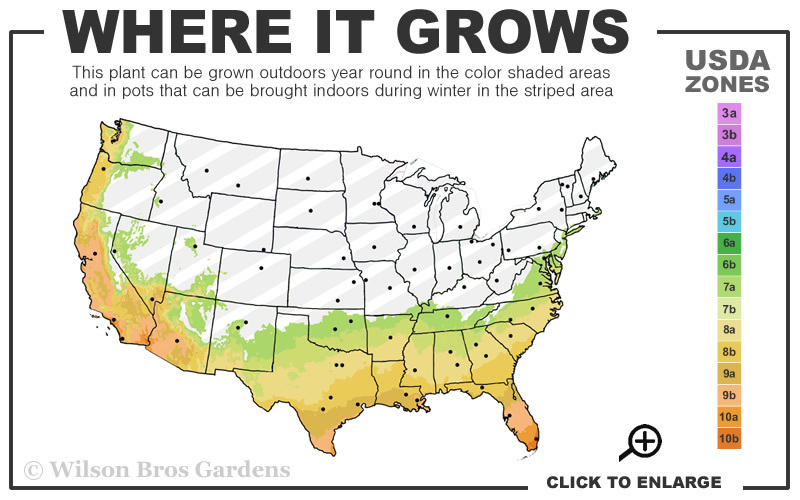 Note: For our customers who live and garden north of USDA Plant Hardiness Zone 6b, where this Eucalyptus tree variety is not reliably winter hardy, you'll be happy to know it can be grown in containers that can be brought indoors during winter and placed back outside when temperatures warm up in spring. "Mappa Tassie', named so for its leaf that's shaped like Tasmania, is esteemed as one of if not the most cold hardy of all Eucalyptus snow gum species. It is a patient growing, small to medium size tree that should be a featured ornamental in your landscape. The blue-green juvenile leaves are oval in shape and born on semi-pendulous stems that take on distinctive burgundy highlights. The large adult leaves - almost the size of the palm of your hand - are a glossy olive green. Small, white dandelion type flowers appear in late spring to early summer. The trunk is artistically contorted; its bark is smooth with patterned white, cream, green and grey patches, which sheds in ribbons from the stems and branches. At maturity, Mappa Tassie can achieve a height of around 20 to 30 feet (maybe 40 feet? ), depending on local climate. Responds well to pruning so size is easy to control. "Mappa Tassie" is a Snow Gum that grows all over the alpine regions of Eastern Australia and is highly rated for its cold hardiness. Can be grown in a pot but might not be as cold hardy. 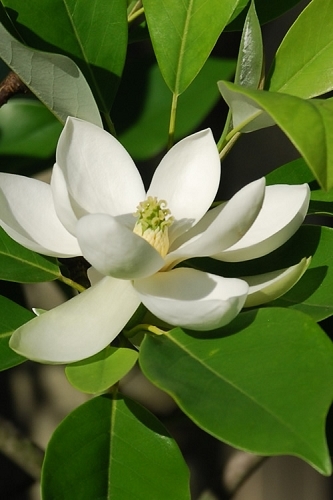 The tree adapts well to any soil condition, is salt tolerant, and is disease resistant and long-lived. In McDonough, Georga, a 10 month old tree had minimal leaf damage after a brutal winter (2013/2014) when temperatures reached 6 degrees F. In Atlanta, GA a 10 month old tree froze to the ground in 5 degrees but has recovered nicely growing 5 to 7 feet in height in the same year. 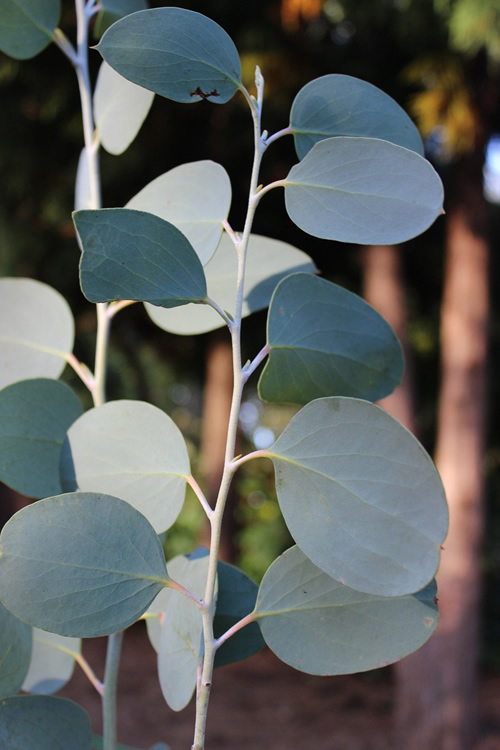 Growing to about 25 feet tall and 15 to 20 feet wide, Mappa Tassie Eucalyptus is a moderate growing but smaller Eucalyptus tree that will beg to be planted as a focal point in your garden. It is ideal for use as a focal point specimen, in groupings or as a privacy screen in landscape borders. Effective to frame corners of tall homes and other buildings. A very nice tree near patios, decks and other outdoor living spaces. 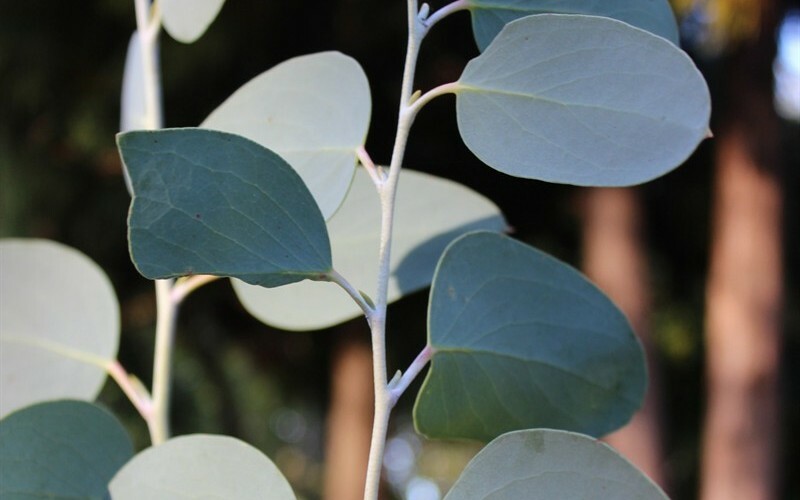 Mappa Tassie Eucalyptus is easy to grow in most any moist but well-drained soil and is salt tolerant, disease resistant and long-lived. Mappa Tassie can be encouraged to grow in hot climates but generally performs best in cooler climates.